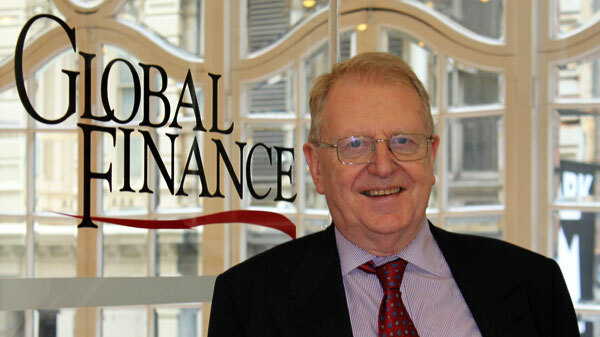 At Global Finance ’s Salon in New York in January, Georges Ugeux, CEO of New York–based investment bank Galileo Global Advisors, discussed the economic landscape faced by India and China in 2014 and beyond, and how Western economies and politics could affect them. Georges Ugeux believes that emerging markets countries, especially China and India, are an integral part of the global business and economic climate for 2014. And although they are charting their own futures, they continue to be affected by monetary policies adopted by European central banks and the US Federal Reserve. China and India are important global players, says Ugeux. But they still have to convince the rest of the world that reforms at home are real, not ephemeral, and that structural problems, such as China’s shadow banking, will not reach proportions critical enough to impact other sectors of the economy. Nonetheless, the major target of Ugeux’s criticism is Europe’s central banking system. Total bank sector assets in Europe in 2011 added up to 349% of GDP, compared with 78% in the US. With such a stranglehold over the economy, the European central banks simply do what is best for banks, rather than the overall economy. And their actions reverberate across borders. Ugeux should know. The Belgian-born banker, has worked with some of the largest investment banks in the US and Europe. He also headed the New York Stock Exchange’s international expansion efforts. In 2003 he launched Galileo Global Advisors to help multinationals understand the complexity of cross-border business strategies and navigate them. His clients include such major multinationals as India’s Tata Group, GDF Suez, the International Securities Exchange and Soros Fund Management. Global Finance: How do you see the investment landscape developing in China and India? Georges Ugeux: China continues to be a very promising medium-term investment. The currency is going up. Consumers are getting richer. And the Chinese are managing the influx of 400 million people moving into the cities over the next twenty-five years. Still, China continues to be a captive of FDIs. And although it has foreign exchange reserves of over $3.3 trillion, the reserves have actually slowed down the need to develop the domestic economy. By contrast, India has lost 50% of its value [of FX reserves] in years 2011 and 2012 as a result of the financial crisis and because of bad financial management. But with the possibility of a new coalition government and new financial management, especially a strong stance against corruption, the environment may change faster than expected. Ugeux: India is a global leader in IT and a number of other areas. And it isn’t a leader because it is the low-cost provider. India produces a million engineers each year. More important, India is expanding abroad. It is buying small. Its acquisitions are almost always determined by the need to integrate. It doesn’t want to make the mistake that the Japanese and others made in buying companies too big to integrate. China is not as international as India is, but it too is growing. And in its growth it understands its limitations. It knows it can always bring its enormous manpower to manage expansion. 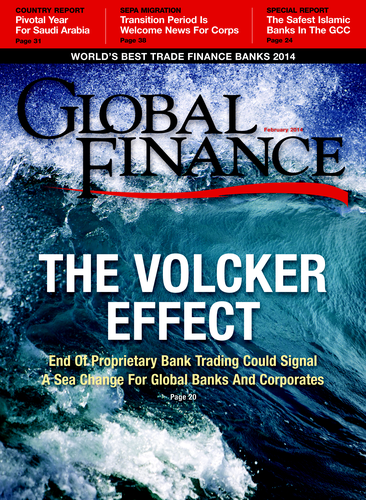 GF: What impact could issues in their own banking systems have on their economies going forward? Ugeux: Chinese banks continue to be very tightly regulated. So the phenomenon of shadow banking—the practice of unregulated lending by banks and finance companies—can pose a major shock to the system. But the Chinese banks are trying to recapitalize themselves through a new round of IPOs. Most Indian bank assets are government-owned. So when the inevitable recapitalization occurs, it will likely involve the government asking foreign banks to buy a stake or buy banks outright.